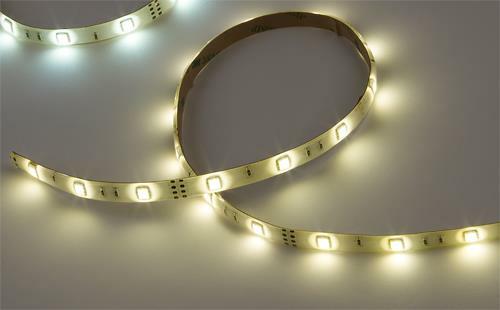 Exterior High Output 12 & 24 Volt DC LED Tape Light Strips have high luminous output and low energy consumption in a low-profile, water-resistant & durable flexible epoxy resin casing. 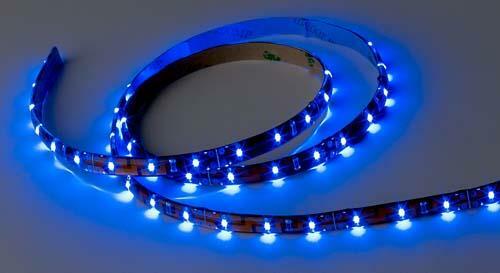 Warm white, cool white, blue & red LED colors available. A low-profile alternative to traditional tape lights, the 12/24 VDC exterior tape lights have such a small form factor that they can be put in almost any confined space inside your cabins or engine room or outside on the deck. 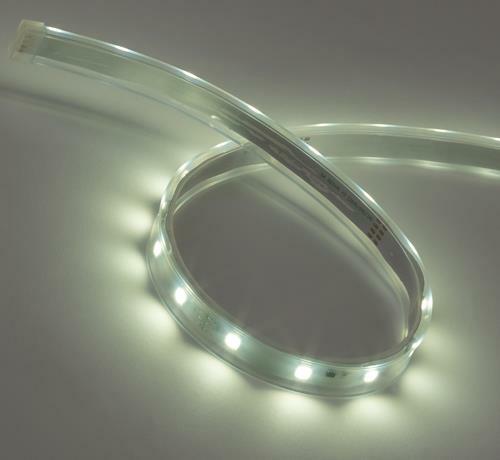 Pure, high quality LED lighting where you want it with Imtra's High Output Exterior Strip Lights. High output LEDs have 140 degree angle of illumination for extra wide area of illumination. Bright LEDs are placed every 1 or 1.3 inches to eliminate "gapping" typical on other tape light options. 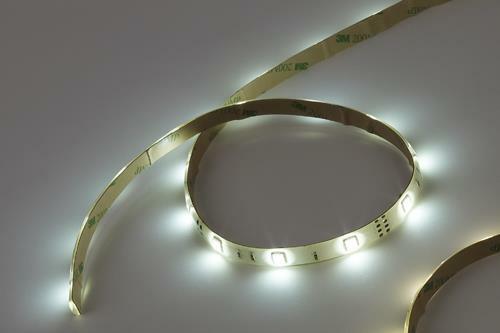 High output exterior tape light has endless uses and potential applications. The high-quality, marine-grade construction is built to last and supply you with extra bright, low-power LED lighting for years to come. LED Color: Warm White (46 Lumens/ft, 151 Lumens/m), Cool White (46 Lumens/ft, 151 Lumens/m), Blue (46 Lumens/ft, 151 Lumens/m) and Red LEDs (46 Lumens/ft, 151 Lumens/m). LED Color: Warm White (59 Lumens/ft, 194 Lumens/m), Cool White (59 Lumens/ft, 194 Lumens/m), Blue (59 Lumens/ft, 194 Lumens/m) and Red (59 Lumens/ft, 194 Lumens/m). Our low voltage (12VDC) Flexible LED Strip Tape is designed for hard-wire DC hook-up (i.e., from DC power supply or battery source). If stepping down voltage from a 120/230V source, a standard low voltage AC transformer will damage the product. You must use a DC power supply or a voltage-regulated LED converter for this purpose.